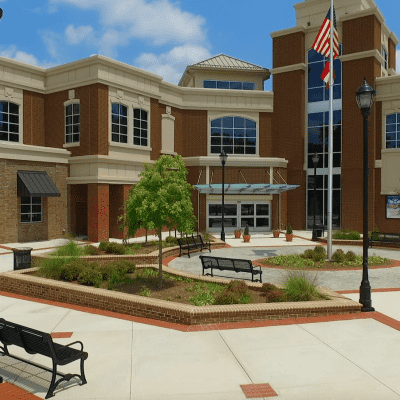 Lilburn is home to a diverse collection of unique attractions, such as Georgia’s beloved Stone Mountain Park and even the largest Hindu temple nationwide! The city is situated just 20 miles from downtown Atlanta whose motto, “Small town, Big difference,” speaks for itself! Formerly known as “McDaniel,” Lilburn was established by the Seabord Air Line Railway. In 1910, the city was officially incorporated and named after the railroad’s general superintendent, Lilburn Trigg Myers. After the Great Depression, the city and its government gradually fell away. It wasn’t until 1955 that a new city government was created and the town revitalized. Stone Mountain Park is Georgia’s most visited attraction. The park covers 3,200 acres and is built around the largest piece of exposed granite in the world. In addition to lakes and hiking trails, every season, the park offers various activities perfect for the whole family!